***Marie-Claude Lortie’s write-up on Hvor is the best article that a local food journalist has ever written – Yes, she is one of my preferred food journalists of all time. No I do not know her. No, I am not in love with her. And I am sure I am not her type neither: I am ugly. No, I do not agree with every single statement of hers. And that is normal as we share nothing in common. But I know one thing, though: “suckling pigs” is not her favourite dish….my way of saying that she is not biased, not there to make friends in the restaurant industry. And she writes well, she is not your usual “shakespeare wanna be” or “I feel smart” type of food journalists. Marie-Claude’s article on Hvor is a reminder of how this woman is capable of unusual impartiality, where many so-called food journalists are just there to serve as advertisers for their friends of the food industry. You know that a food review is exceptional when the reviewer sees things that most did not (not to be confused with …things that do not exist….sadly, the mistake that most food journalists make) at a restaurant that you really liked (Hvor is in my top 3 in Montreal alongside La Chronique and Le Serpent ). Eventhough Marie Claude’s article has no impact on my opinion of Hvor, I’ll concede that I had “flashbacks” (lol) of the duck magret I had there when she was reproaching to Hvor… a feeling of unaccomplishment..a feeling that she did observe at times during her meal there. But aside from that duck magret, there was no other sign of “unaccomplishments” during my meal. To the contrary, there was lots of finesse, a very high level of technique as well as some superb combination of textures and flavors. Marie-Claude argued that the desserts at Hvor are “deja vu” creations for her. Well …Montreal is unlikely the place that one should look for when it comes to reinventing the wheel. Desserts at a restaurant in Montreal, however great they can be, they are certainly not going to be thought provoking! And Marie Claude should know that. I do not expect restaurants to reinvent anything, anyways. I just want them to excel at whatever they do whether the food is classic or not. And that is exactly what Hvor was about during my visit. As for Marie-Claude’s review, that is a master piece (written in French) that you can peruse here. *** Pho Bang New York is one preferred spot for Pho in Montreal. 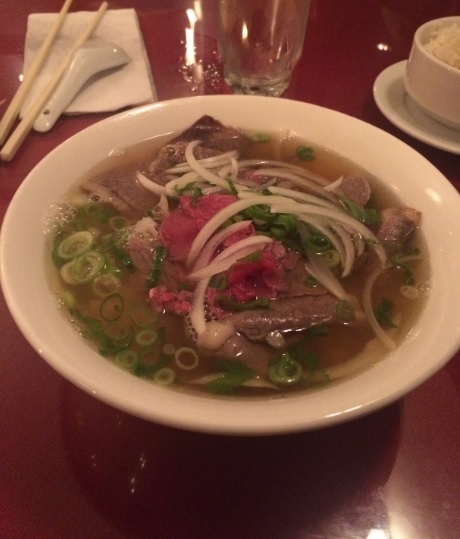 Not only is the pho good there, but cleanliness is another attribute you can append to their description, which is not a common affair at our local pho restaurants. But I love phos, so I went trying some of the best picks of other local Vietnamese foodies (Vuong and Han,) that I know and trust. For Vuong, Ho Guom and Tay Ho rule (he is from Hanoi, and unsurprisingly his preferred phos are of the Hanoi style). 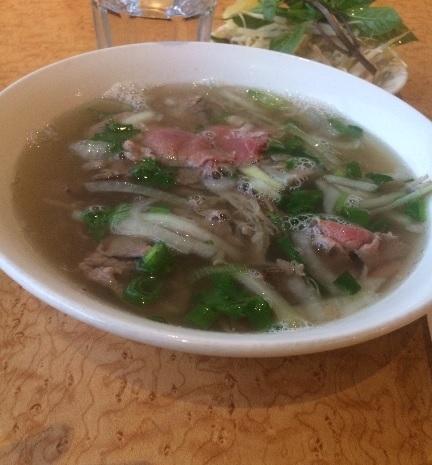 Han is a fan of Pho Lien and Lyla (phos from her native south). Restaurant Lyla 431, Jean Talon W, Montreal, 514-272-8332 http://www.restaurantlyla.com/ The broth a tad sweeter than at most local pho places, (which is not a quip, rather a feature of this type of pho) as well as a tad less complex in its nuances but definitely one legit version of the Pho. The ingredients were fine, the quality of the meat good. Unarguably one genuine version of the Pho, but I’ll take Pho Bang NY (which uses a tad more star anise than its local competition in the soup, but to great effect) anytime over this one. Bottom line: you want your pho to taste/feel/smell like in Vietnam? Then fly to Vietnam! Lol. That said, the folks at Ho Guom are making superb phos and despite the never ending list of decent phos in town, I have yet tasted a better pho than at the above mentioned duo of preferred phos. 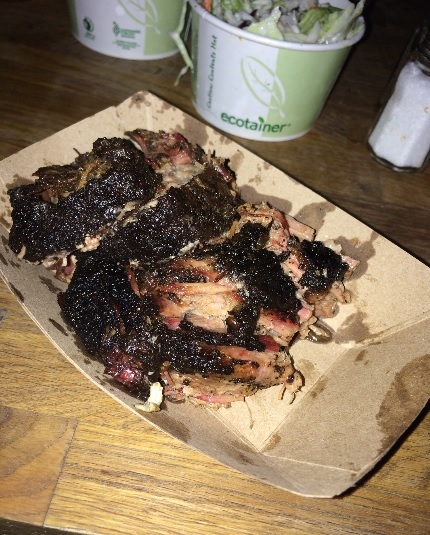 ***Morgan’s bbq is touted as offering one of the finest texas style smoked briskets in nyc. Order them (the briskets) fat, not lean, as to savor your brisket in its more flavorful rendition – which is exactly what I went for. Can’t agree more about Morgan’s bbq reputation: their brisket is as enticingly smokey and tasty as your texan style brisket will get in NY. Coleslaw and potato salad were equally delicious. So did the chicken (you go to a Texan style smoke house for the briskets…yeah, I know, but my sweet half wanted to taste the smoked chicken). Cons: Not too sure if this was an isolated situation, but the brisket I was having was super salty.Because it was as tasty as it was salty, I did not make a fuss of it. I trust that was isolated….